When you have a great investment portfolio and a number of assets upon which your wealth depends on, it’s always a good idea to hire a strategic wealth management group. Strategic wealth management is sort of like financial asset management in that investments are organized and protected by an investment security firm though the definition of asset may be a bit broader. Sometimes, clients only hire investment firms for this sort of thing when asset protection becomes an issue. Asset protection is important when a civil judgment on financial matters comes into play and firms will act as go betweens and negotiators between the client and the creditors. They will advise their clients on legal conduct including giving warnings on illegal actions like hiding the assets or committing tax evasion. 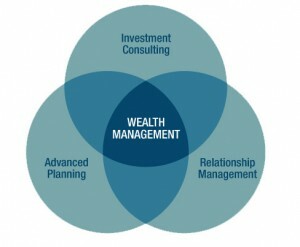 Financial planning consultants also participate in strategic wealth management. Consultants or advisors make investment decisions for their clients on the presumption that they have more knowledge and experience on the whole matter than them. This is usually only availed by institutional investors and high net-worth individuals as the fees are extremely expensive. One of the financial investments that usually require strategic wealth management is a hedge fund. A hedge fund is an investment fund that is only open to a limited number of investors. These kinds of investments have aggressive portfolios and often have a wider range in variety and trading stock than usual or more traditional investment funds. A hedge fund is usually only for the more sophisticated investors. Rich people, mainly. Hedge funds are usually set up as private partnerships. A very large initial investment is usually required and this investment won’t have liquidity for at least a year. In this manner, a hedge fund is really not the place for flexible and variable investments. They’re very picky and only allow in members that earn a minimum amount of money annually and have a net worth of more than $1 million. Think of it as a very prestigious club for rich investors who are knowledgeable about advanced investment strategies. When financial planning consultants are hired for hedge funds, part of investment advice and strategic wealth management is hedge fund due diligence. Due diligence is important for any firm or individual looking into entering any potentially risky investments or other financial deals. Another reason for hiring financial consultants is that in order to look into or get any information on hedge funds, they require accreditation of some sort. The person trying to get information from a hedge fund manager must either be an accredited investor or a registered investment advisor before any information can be released. The SEC (Securities and Exchange Commission) has acknowledged the importance of hedge fund due diligence and has even posted a few guidelines on it on their website. Strategic wealth management is fraught with legal and financial intricacies of all sorts. Services for these issues are offered by several strategic wealth management groups all over the world and can easily be found on the internet. They are certainly essential for organization and, possibly, more grounded financial decisions but they are not without risks themselves.